"I have used your beautiful products when staying at leading Sydney Hotels and would like to offer them to our guests in our B&B." "I'm just enquiring if you do in home parties at all where you can host the party yourself and sell the products as such? I love all the products and use them daily, and am always being asked by all my friends about the products and about having a home party where they can buy them?" "On a recent visit to Australia I used your product in the hotel and found it wonderful." "Hi I would like to purchase some of your products – shampoo and conditioner in the lemon grass range!" "My boyfriend loves the shampoo, so I needed to get some more for him. It's a great product." "I was introduced to your product during a stay in the Blue Mountains and really like the Eucalyptus and Lemongrass body lotion. I live in the eastern suburbs of Sydney. Could you please inform me of the nearest outlets where I might find your products. Thanking you." "Could you please let me know where I can buy your eucalyptus & lemongrass products around Glen Waverley in Melbourne. They are beautiful products." "Love your products! I was hoping to send some to my mom who loves them too. We (me and my mom) visited Hunter Valley and our guesthouse had your shampoo and conditioner. I promised to send some to my mom (to Finland)." "I would like to purchase hair shampoo and conditioner after sampling recently at a hotel I stayed at." "Just sent that payment through so hopefully you'll have it soon. I've been at work today so I'm not sure, but I really hope they have because I can't wait to wash my hair! Thanks again for the wonderful service, you truly are spectacular!" "We are interested in your Romy products having experienced them on a holiday recently. We are a small business and would be interested in purchasing soaps, hand wash, hand lotion etc. Also how much would these products cost to us?" "I stayed at a hotel recently and loved the Bath and Shower Gel. Have looked on your website and you can’t seem to buy it separately. Is it available to purchase as a separate item." 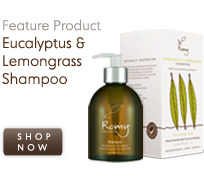 "I would like to order your Eucalyptus and Lemongrass aromatherapy shampoo and conditioner. I used it at a hotel I stayed at recently and really liked it." "We tried your bath and shower gel at the Watermark hotel this weekend and it is brilliant." "I had a trip in Australia few months ago. During the trip I stayed in a hotel that provides your lavender and fir needle body lotion. So I want to buy it but no idea where I can get it. I live in Hong Kong. Is there any retail shop here? If not, can I buy it over net?" "Can you please give me info on where I can purchase your products? I was in a hotel and they had Romy Eucalyptus and Lemongrass body wash."
"The cocoa shampoo is wonderful and will add it to my next order." "Hi. I was at the Diamant Hotel in Sydney recently and I loved your Eucalyptus & Lemongrass shampoo and conditioner and brought a couple of small bottles home with me! I would like to order some from you. I see that you do a 300 ml size for $20.50AUS. How much would the 45ml size bottles be if I bought several of each please? And then I need to know how much it would cost to send it to the UK please. I am trying to find the most cost effective way of getting both shampoo and conditioner. Look forward to hearing back from you." "Like most customers on your testimonials page, I too was fortunate to have stayed at a pleasant hotel on the Gold Coast recently. I used your shampoo and conditioner and haven't seen it around since! Such a beautiful product! Thank you for being environmentally kind too! I'm now going to "buy now" from your site link." "My husband and I have just returned from a holiday to the Gold Coast staying at the Royal Pines Resort. Whilst at our hotel we were fortunate to discover your Nu Lavender and Fir Needle Aromatherapy Range. Upon our return home we would like to enquire of the possibility of purchasing some of the items from this range, especially the soap and body lotion. We are happy to purchase in bulk, not a problem. If you could please let me know if this is at all possible and how we would go about proceeding with an order. Many Thanks and I await in anticipation." "I recently stayed at a hotel at the Gold Coast in Queensland which supplied your products to guests. I am desperate to get more of the NU Body Lavender and Fir Needle Aromatherapy product. Actually the whole range of the NU products I received are brilliant." "Do you have stores that sell your products, or can you only buy them on line?" "I am wondering if I can pay by money order. I first tried Romy when I was given a sample at the QANTAS lounge. When I used it in the shower I was impressed." "My husband and I recently stayed at Mt Lofty House, Adelaide, South Australia where we enjoyed the Lemongrass bath products. Is it possible for us to purchase some of this range ..."
"I was recently holidaying at a resort that supplied your bathroom products. I very much liked the Lemongrass & Eucalyptus aromatherapy body lotion & bath gel and was wondering if you could supply me with a retail outlet for the sale of these, or can they be purchased online? ... Once again I was very impressed with your product and would also be interested in sampling some of your other fragrances." "I have just come back from a weekend at the Lismore Bounty Motel where I discovered your range for the first time. Having stayed in many hotels (and motels) I was extremely impressed with this most beautiful range ... congratulations on a wonderful range ..."
"For the past few years we have stayed at Hotel Tolarno in St Kilda. I love your lemongrass products. Is there a way I can purchase them?" "I recently returned from a fabulous vacation in Australia, and I fell in love with your Lemongrass & Eucalyptus products while in the Blue Mountains. Are these products available for sale over the internet to the general public, or do you have a retail outlet where I can purchase them in the US?" "We stayed at a Hotel (Karri Valley Resort - WA) recently and liked your products that were used in their bathrooms, particularly the Lemongrass & Eucalyptus soap and body lotion." "I recently stayed at a property which provided your products (Coconut Beach resort, Cape Tribulation). One of your products, Lemongrass & Eucalyptus body lotion has overtaken all before it and has become a "must have" item in her bathroom ... many thanks and congratulations on such a great product." "My boss was staying at Silky Oaks Lodge this month. She brought me back some of your products. I tried and liked them very much. I'm wondering if I could find your products in Japan. The girls from my office would also love to buy them." "I live in California and was recently vacationing in Australia. I received samples of your Lemongrass & Eucalyptus shampoo and conditioner at the Daintree Ecolodge and loved the products. I was hoping I would be able to purchase the products directly. There is no other conditioner that leaves my hair as soft and manageable as yours, so please say yes!" "I would like to order from your Romy Range. I used the shampoo and conditioner whilst I was away and found them to be of exceptional quality." "We have stayed at Harbourside Apartments, McMahons Point in Sydney a number of times where we really liked your eucalyptus and lemongrass shampoo. 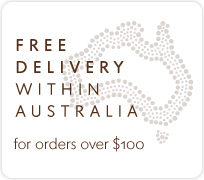 We live in Canberra, ACT, is your product available here?" "I was introduced to Romy Eucalyptus and Lemongrass products via Hotel/Motel samples... on my last trip to Sydney it was such a delighted to be reintroduced to the shampoo, conditioner and body balm, that I determined to purchase some for my wife. Great Company! Great Attitude! Great Product!" "I found your product supplied at Points North Apartments in QLD and would like to continue using it ... I am in fact, trying this product out on my Psoriasis. The small amount I had seemed to be good but I need to give it further testing." "I have seen and bought your products twice at guest houses that we have stayed in, I love them and would like to know where to buy them in Sydney." "My husband and I have just spent the weekend at the Watermark Hotel on the Gold Coast, we often stay there and they have changed there bathroom products to your brand... we were both impressed with the smell and texture of your products and would like to purchase some for ourselves." "Do you ship to the US? I stayed at the Eco Lodge in Cape Tribulation. This was one of the best products I have ever encountered. I can't seem to find it anywhere." "Are your products sold anywhere in the USA? We used them while travelling in Australia and really liked them." "We first found lemongrass products on our honeymoon in Thailand, at the Aquamarine Resort and Villa Hotel in Phuket, and are so pleased to have found this product available locally." "My husband recently returned from Australia and brought back some of the products made available to him at the resort. I have never heard my husband even so much as mention the type of body wash or shampoo we use at home or what he happens to use abroad. I couldn't believe he made such a big deal about it until I tried them too. Do you offer them to the public? I’d like to purchase them just because my husband actually loves them so much." "We recently stayed at the Harbour Rocks Hotel in Sydney where we enjoyed your bathroom products. Now I have seen that these products are available for sale per the internet. Please inform me about the additional postage cost to Germany." "I used Romy shampoo when I travelled in Australia last week. It's very nice. Is it possible to buy Romy products from Japan?." them. 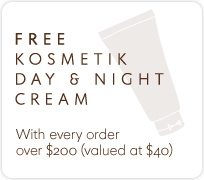 Your body lotion with lemongrass and eucalyptus is absolutely fantastic!" "I recently holidayed in Sydney and discovered your quality haircare ‘Rosemary and Mint’. It is rare to find such quality hair and body care." "The cocoa shampoo is wonderful and will add it to my next order. "Like most customers on your testimonials page, I too was fortunate to have stayed at a pleasant hotel on the Gold Coast recently. I used your shampoo and conditioner and haven't seen it around since! Such a beautiful product! Thank you for being environmentally kind too! I'm now going to "buy now" from your site link. " "My husband and I have just returned from a holiday to the Gold Coast staying at the Royal Pines Resort. Whilst at our hotel we were fortunate to discover your Nu Lavender and Fir Needle Aromatherapy Range. Upon our return home we would like to enquire of the possibility of purchasing some of the items from this range, especially the soap and body lotion. We are happy to purchase in bulk, not a problem. If you could please let me know if this is at all possible and how we would go about proceeding with an order. Many Thanks and I await in anticipation. "I recently stayed at a hotel at the Gold Coast in Queensland which supplied your products to guests. I am desperate to get more of the NU Body Lavender and Fir Needle Aromatherapy product. Actually the whole range of the NU products I received are brilliant. "I have received a lot of extensive Chemo and a Stem Cell Transplant over the last 12 months and as a result have tried several types of soap due to the problems I am having with my skin flaking. I had to move out of my accommodation for 9 days and the Housing Commission accommodated me at the Aurora Motel here in Alice Springs NT and I used your soap Essence Of Australia Nature's Soap Savon De Bain which gave me great results with my skin problem." "From her long line of skin products, Rosemarie Bayne has again triumphed with the ROMY Body Balm. Its simple elegance is reflected by its beguiling, blended perfumes to its creamy, non-oily finish. In this age when there is a dazzling array of products claiming to accomplish a multitude of effects, it is a relief to know that this moisturiser simplifies the confusion. Alone, it provides all that most users need…and in a one-stop, all-purpose product. With sensible care to avoid the eyes, it is just as safe and effective for a child’s nappy rash as it is for any other age and skin type, appropriate to all body areas, with immediate smoothing and soothing effects for hours after application."